As a kid, cookies and milk were the cat's meow, but these days, we crave something a little stronger with our daily helping of sweet treats. 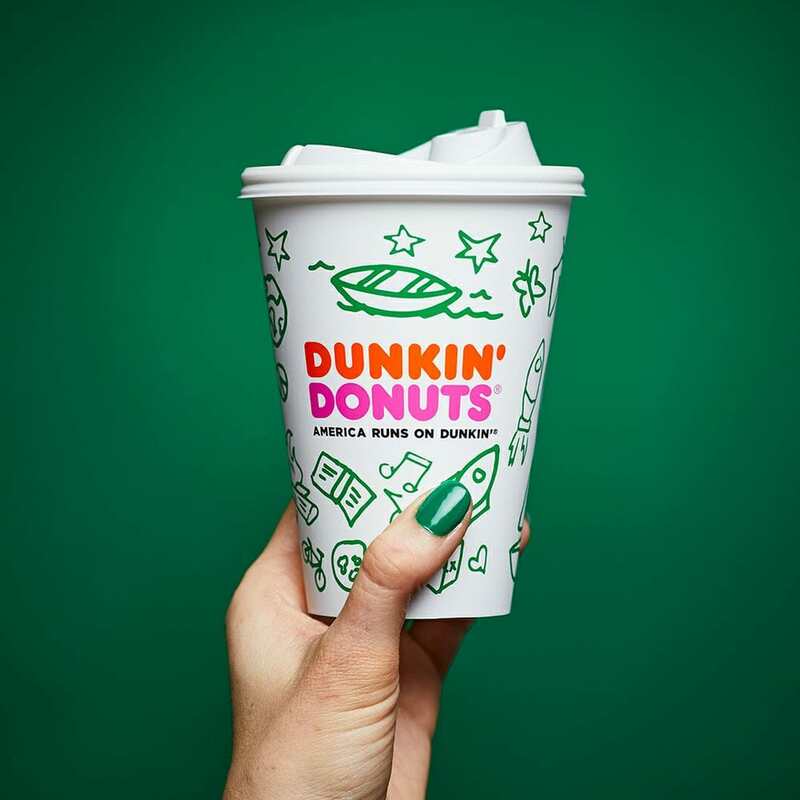 Coffee usually does the trick, but last year, Dunkin' Donuts found a way to combine our two passions (caffeine and sugar, obvi) into one miracle beverage: Girl Scout Cookie flavored coffee. Well, good news! 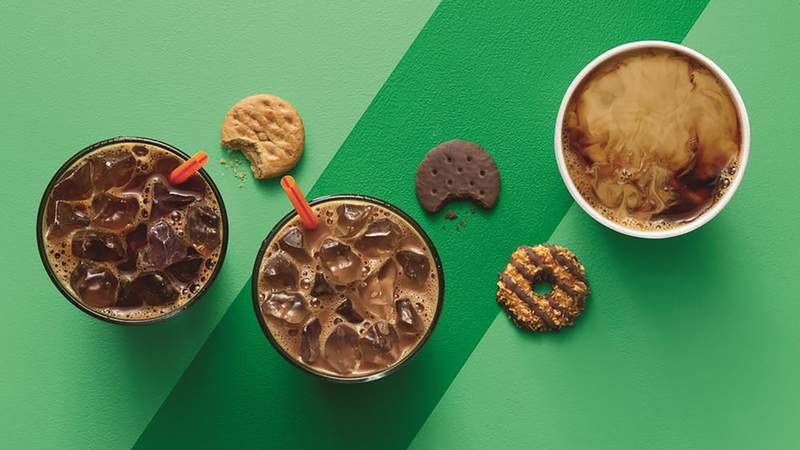 Dunkin' Donuts will be bringing back their Girl Scout Cookie coffee in early 2019, giving us something to look forward to in the new year. The original flavors (Thin Mints, coconut caramel and peanut butter cookie) will be back, but there's a new flavor in town that remains a mystery for now. Will it be buttery shortbread Trefoil? Or the sweet caramelized flavor of Toffee-tastic? Only time will tell. Sip on them hot, sip on them iced, but either way, these coffees will make you feel like a kid again. (Especially if you order them with extra whipped cream on top. Hey, you're an adult — you can do whatever you want!). Even more exciting? Dunkin' Donuts will once again be opening its doors to local Girl Scout troops so scouts can sell their cookies in-store according to a statement the coffee chain released. Imagine waking up and going for a cup of boring coffee only to discover that not only can you get yourself a doughnut, you can also get yourself Thin Mints-flavored coffee and a box of cookies to go along with it. That's totally worth becoming a morning person.